Published March 26, 2010 at 500 × 444 in Art. This is an acrylic painting that I created as a cover of one of our books called “Conviction and Contrition”. 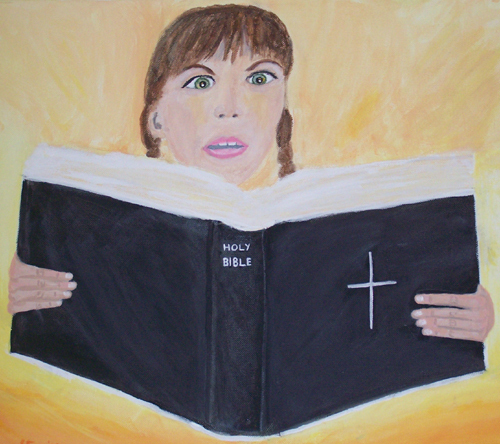 I chose to paint a woman reading the Bible for this piece because, God often uses His word the Bible to bring us to a place of conviction and contrition. If you would like to read the book online it is on the Tracts page or you can request a free hard copy. God Bless you.